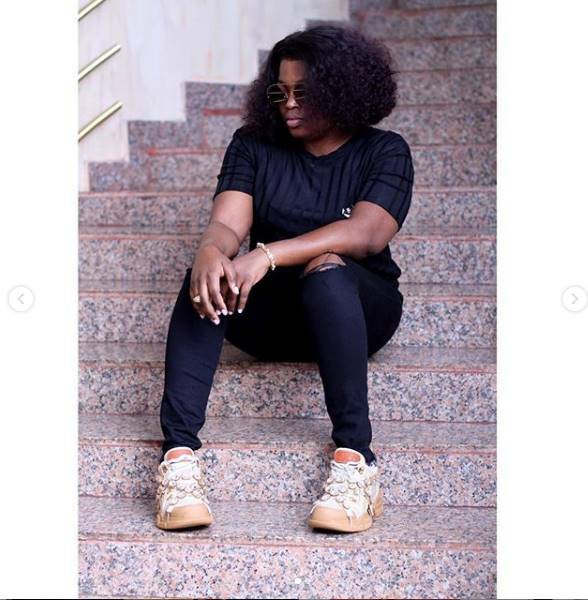 Is it just us or has Funke Akindele been serving us even hotter fashion goals since she became a mum? 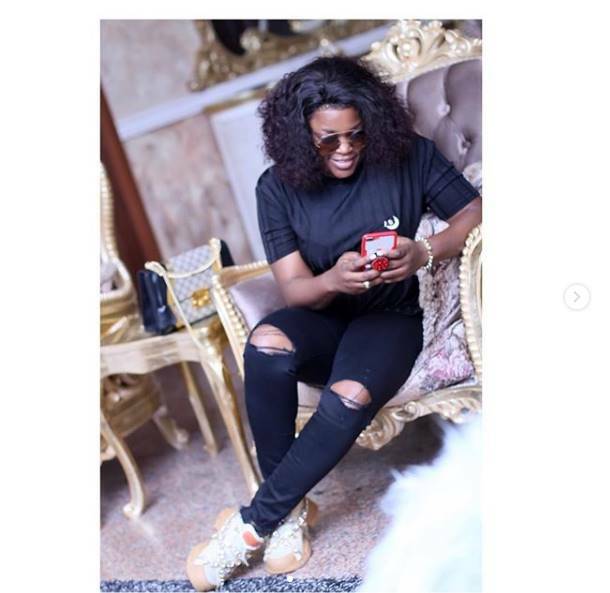 The new mum shared some stunning photos of herself rocking all black, looking classy and chic, via her Instagram page on Thursday, February 7, 2019. Rocking a black jersey over black ripped jeans and accessorized with shades. She completed her ensemble with some sweet sneakers.